Tee hee! Oh the photos I'm going to take of my little guy! Thanks for the inspiration. Oh my goodness! That is stinkin adorable. Sassy Miss M!! Cute! We finally put away all the potties. 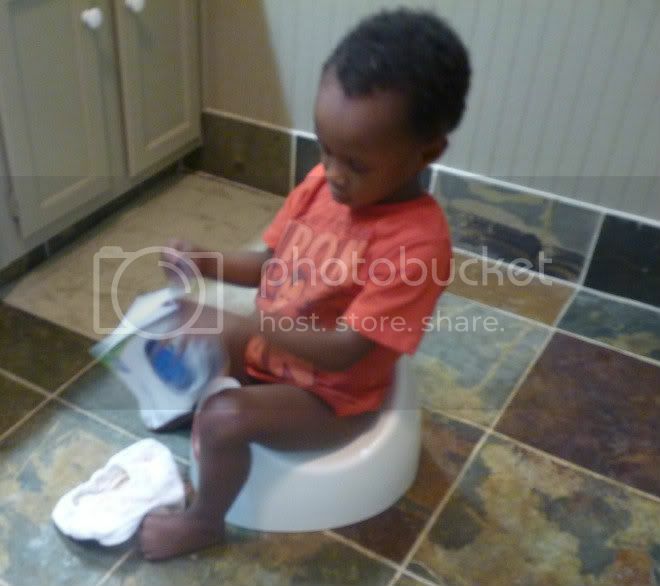 P. will only use the grownup toilet now.